ADAS & Autonomous Vehicles USA is the most focused forum on the here and now of self-driving technology. Join the industry leaders and the key influencers shaping the agenda for autonomous and ADAS technologies. Why attend ADAS & Autonomous Vehicles USA? The ecosystem gathered: ADAS & Autonomous Vehicles USA brings together the key players in self-drifving technology, with over 250+ attendees, with 150+ of these being OEMs/Tier 1s. Representing companies such as Ford, General Motors, Hyundai, Mitsubishi, Hyundai, Mazda, Aptiv, Bosch, Harman, Lear Corporation and more. The biggest trends tackled: Our independently researched agenda identifies the key trends and developments impacting the industry. 2018 saw this expand wider than ever before, exploring the big issues in 5G, V2X, software algorithims, cybersecurity, data generation, state regulation and more. 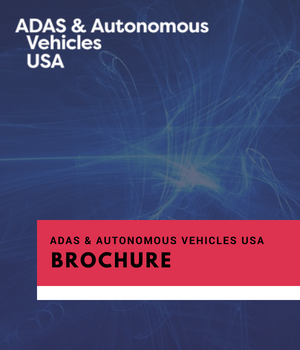 Industry leading speaker line-up - ADAS & Autonomous Vehicles USA attracts the thought leaders from across the self-driving technology space to deliver the expert insights the industry needs. This year featured speakers from the likes of Ford, Toyota, Volvo, Changan, General Motors, Harman, Lear Corporation and more. ADAS & Autonomous Vehicles USA is the only self-driving technology event of its size with such high levels of OEM/Tier 1 participation. Can you really afford not to be in the room? Register your interest for 2019 now.